Tibbalds CampbellReith were engaged by London Borough Haringey to deliver a regeneration strategy for the Tottenham High Road, which encompasses four town centres within a complex, historic environment containing many neighbourhoods with diverse characteristics and often demonstrating significant deprivation. The strategy was required to define future projects for the area and provide a basis for future funding bids and delivery. 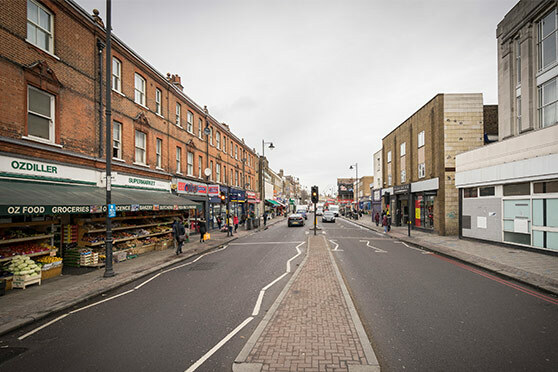 Aware of past engagement in Tottenham, particularly following the riots of 2011, Tibbalds CampbellReith undertook targeted engagement at the beginning of the project, defining key groups and organisations and well as individuals and businesses in the area. Their insights were gathered using ethnographic methods including door-to-door surveys, short interviews and photography. This led to a better understanding of the area and ensured that a firm appreciation of the local experience shaping the principles and structure of the strategy and helping the client to understand what the strategy needed to achieve its goals.